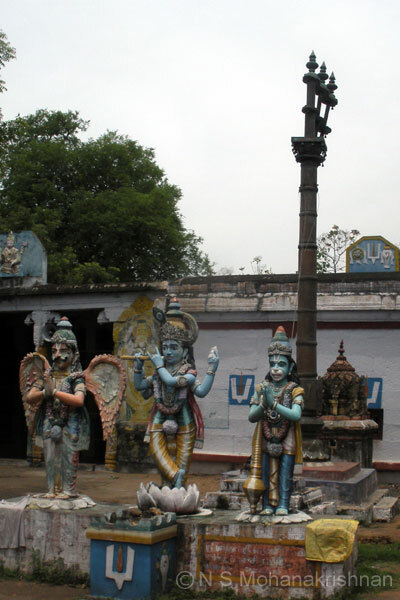 This beautiful temple was constructed by Vijaya Nandi Varma about 1000 years back. 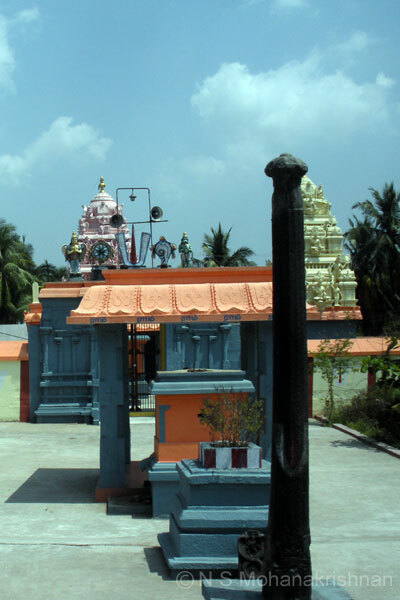 Hanuman is said to have received the Conch and Disc here to kill the demons Thindi and Mundi here. Narasimha is generally seen embracing Mahalakshmi seated on his lap. 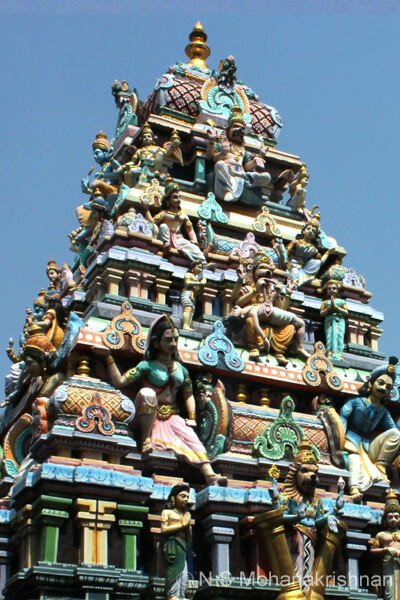 This is said to be the only temple where the Lord and Mother are seen embracing each other. 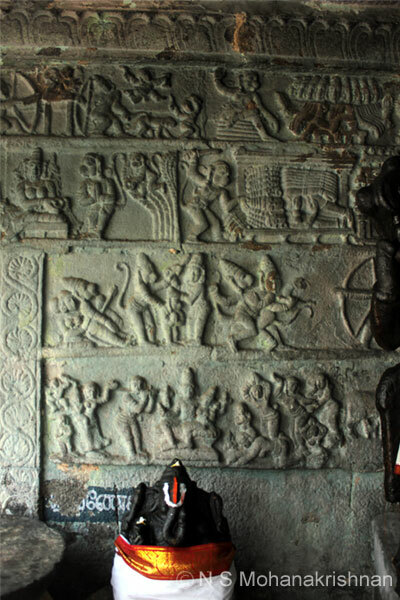 The Yoga Narasimhar here is of special significance and was found while digging the ground. 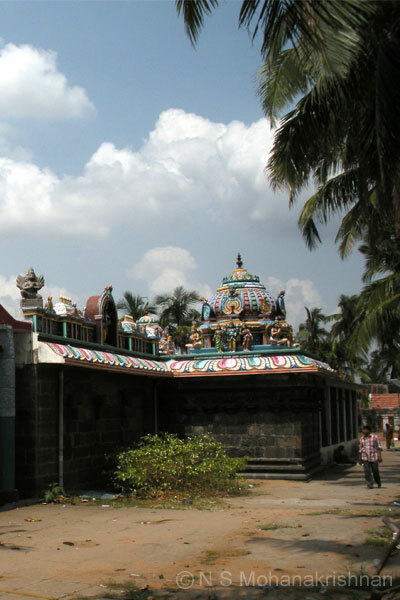 This small and ancient temple is said to have been built by Musukumba Chakravarthy. 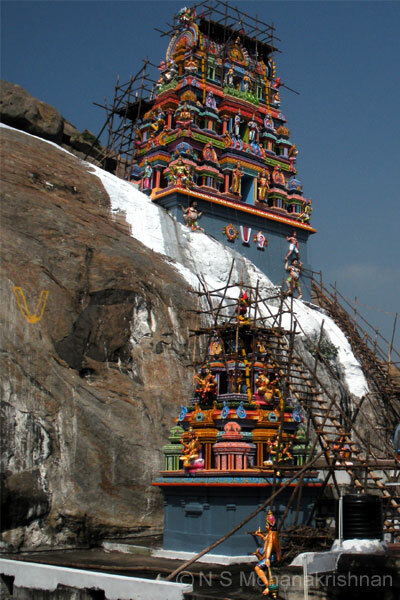 This is a cave temple on a hill about 150 ft high and is said to have a secret tunnel connecting it with the Gingee Fort. 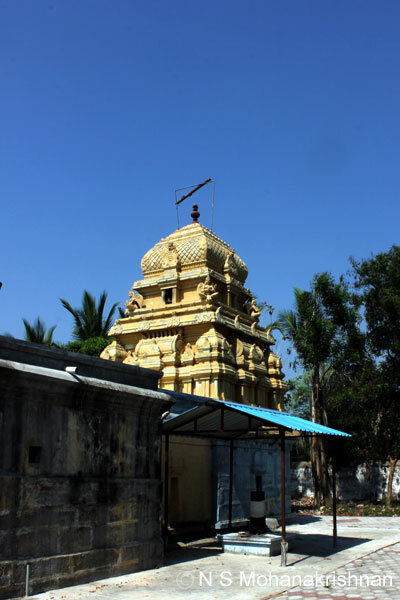 This is an ancient temple, partly renovated recently. 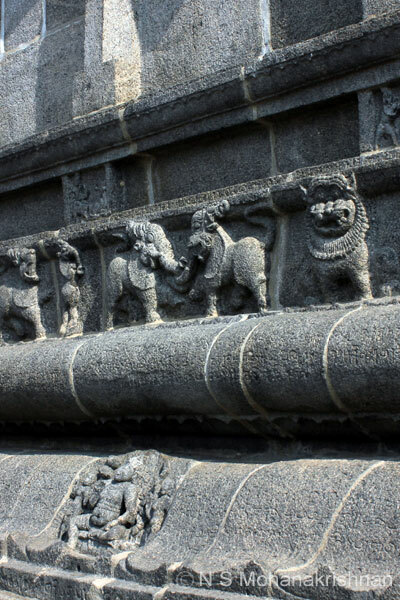 There are excellent and unique carvings on the walls of the Sundaragandam from Ramayana, demanding a long time to go through to truly appreciate it. 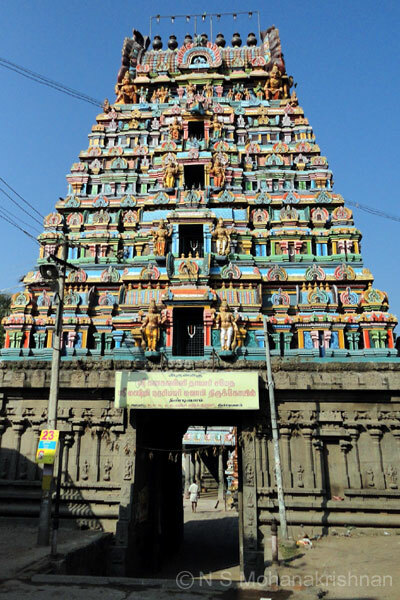 This temple dates back to the period of Parantaka Chola I (907 – 955 CE), the great grandfather of Rajaraja Chola. 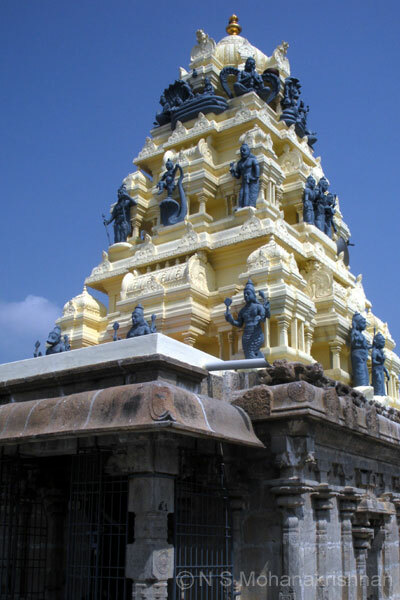 This is one of the 8 temples where Lord Narasimha gave darshan for the benefit of sages of the ancient times. 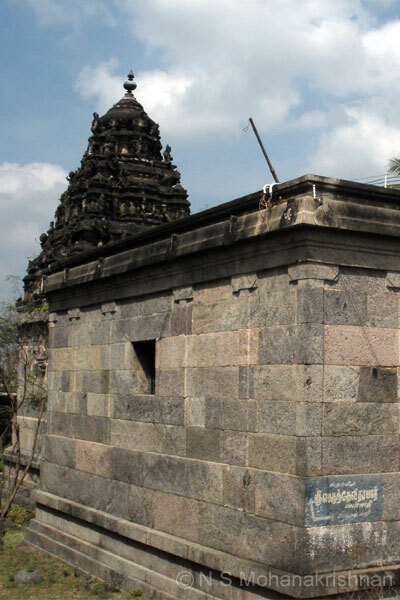 This is an old temple where there are a lot of stone inscriptions at the base of the main sanctum sanctorum.